Start by adding a root parent category as a base so you can go back and add sub categories if applicable. 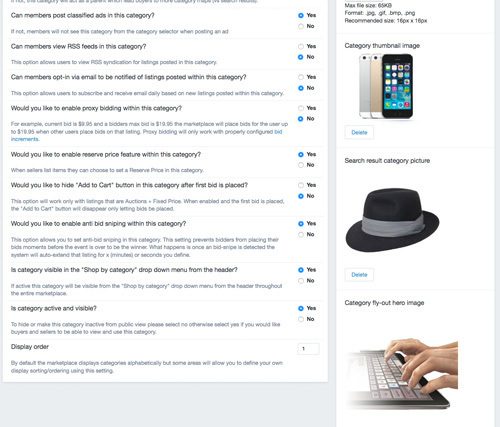 Parent categories are the main categories that can hold sub categories. 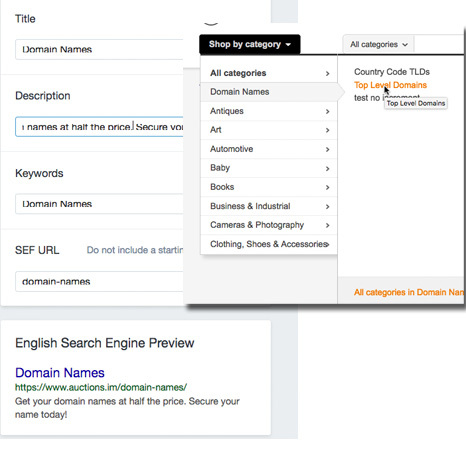 When you create new parent categories, these will show to buyers on the shop by category menu on homepage as well as searching through the category map, the description will appear in small text when they hover over a category and also used when the category is indexed by search engines. 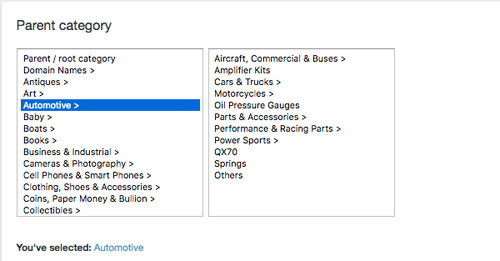 The first setting is important, this determines if the category you are setting up will allow sellers to post items directly in the category, so choose yes or no. Where is shows "Apply to all children categories" means all sub categories will also use the same logic for fees or bid increments.